What if I told you that I just lost another 4 lbs of fat in the past 5 days by changing NOTHING with my diet? What if there was something that could take your rep count from failure to an additional 5+ reps in the gym? And what if I told you that these substances didn't shut your system down the way steroids do when you discontinue them? I've recently been using Cardarine GW -501516 stacked with SR9009 (Stenabolic) and the results are DEFINITELY NOTICEABLE!! I've used Cardarine GW before, but this is my first time stacking it with SR9009 and the results are MUCH MORE ACCELERATED!! Cardarine is a SARM (Selective Androgen Receptor Modulator) but unlike a few other SARMS, it's non-anabolic and doesn't require a post cycle recovery when it's discontinued. It's relatively safe and it works by increasing fatty acid oxidation. Cardarine also stimulates glucose uptake in muscles which can help not only with fat loss, but with the “pump effect” in the muscles. Cardarine can help treat obesity and people with difficulty regulating their blood sugar since it helps your body shuttle glucose and also helps block the receptors that store fat cells. It's harder for your body to store fat when you're on Cardarine and it's easier for your body to melt fat for energy!! Cardarine will not catabolize muscle tissue in the way other fat burners or thyroid hormones such as Cytomel can do. The only thing it wants to take from the body is pure fat!! Now, what does increased oxidation in fat cells mean to us? Well, this is the beauty of Cardarine here, it promotes a performance based side effect!! 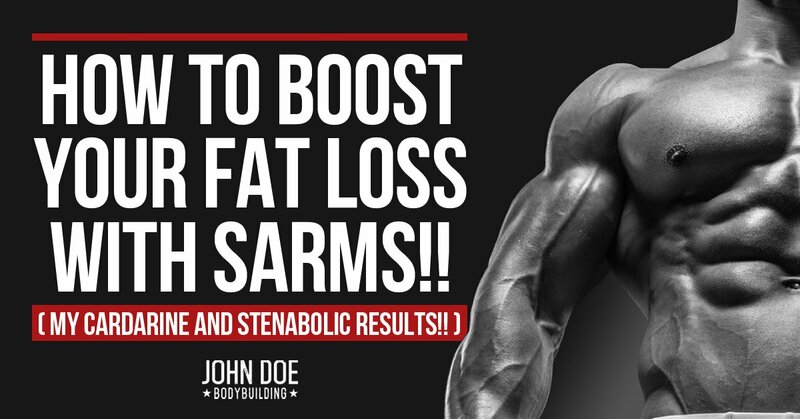 That's right, not only does this SARM eat through bodyfat, but it also helps you perform better (which a higher level of performance in itself helps bodyfat loss as well). Cardarine is good for any individual in the gym but it's also good for anyone involved in activities such as cycling, kayaking, swimming, or anything else that requires stamina. As Cardarine works as a cholesterol transporter (cholesterol is in fat cells) it can raise your good cholesterol and lower your bad cholesterol. This is another positive benefit from using Cardarine and anyone with cholesterol issues might be interested in this effect. CARDARINE DECREASES STRESS AND INFLAMMATION IN THE BODY!! Stress and inflammation….I know both of those all too well. I get stressed out and I don't even know I'm stressed out. Intense exercise and dieting makes people stressed out, sometimes to the point where their bodies fight results!! Any time you can use something to your advantage to lower stress and fight off inflammation it's much easier to get results!! Have you ever had one of those nights where you actually slept good and the next day you look at yourself in the mirror and you noticeably look better? I have!! This is because your body finally started to recover a little bit more. So many of us are overtired, overworked, and undernourished that almost any type of stress can shine through our physiques as we attempt to get leaner. Stress can also age the hell out of us!! I've seen people my own age who look like they're 20 years older because of stress!! Who wants to live their entire life full of stress? Why would you even choose this path and not do anything to change it? Is it harder to go through life living in complete hell or do what's necessary to make the changes? And no, I'm not talking about some supplement here, I'm just stating a point about life in general now that I think about it!! But hey, we all go through stress and sometimes it cannot be avoided. So I like the idea of lowering the stress that can be induced by extreme exercise and dieting strictly. Inflammation is also another commonly neglected issue with exercising intensely. Sometimes we have this inflammation that we aren't even aware of. Have you ever had a massage done? You may not have thought anything was sore until someone actually started working on that area, then you realized that you did in fact need it!! Inflammation is obviously caused by excursion and often times working the body before it can fully recover. Even if you try to let a certain muscle group heal, you almost cannot help but touch on it during another exercise. If your chest is sore and you do overhead dumbbell presses, you might still feel that soreness in the upper pec area!! Cardarine reduces the level of inflammation from exercise. Less inflammation = more results in the gym!! The key is to stimulate the body enough to get results but not to over-stimulate and break yourself down to where you cannot get better than before!! You'll notice that recovery on Cardarine is much faster and the time you rest between sets soon becomes nothing!! It's nothing for me to do a set and be ready to go again 30 seconds later. Stenabolic (or more commonly known as SR9009) is a newer SARM that is also geared towards fat loss without muscle wasting. The way stenabolic works is by binding to and activating a protein in the body called Rev-erb protein. Rev-erb protein is a protein associated with circadian rhythm and providing a fat-loss homeostatis within the body. To put this in simple terms, when taking SR9009 your body is acting as though it's in a state of exercise even when you're in a resting state!! SR9009 also works by increases the number of mitochondria in the muscle cells. Mitochondria are what produces energy stores in muscle cells, so by supplementing with SR9009 you will notice more energy output from muscles, which will aid in fat loss along with increases in muscle strength!! SR9009 also decreases the amount of cholesterol which is stored in the liver, making fat loss a much easier process for your body. Not only that, but SR9009 also works to greatly reduce inflammation in the body from muscle breakdown, making this SARM highly effective to use for recovery purposes!! Like Cardarine GW, SR9009 also improves insulin sensitivity by reducing plasma glucose levels and making the body more insulin sensitive, which can have a major effect at increased nutrient transporting within the body. Now, I've used Cardarine GW 501516 in the past with great results, but I hadn't stacked it with SR9009 until recently. Cardarine can be dosed once/day and dose ranges are normally 10mg-20mg per day for anywhere from 4-12 weeks time. The SR9009 has a much shorter half life and needs to be taken 2-3x per day. I go twice a day myself, once in the morning and again in the evening. I was just using 10mg/day of Cardarine along with 20mg/day of SR9009 (split into 10mg morning and another 10mg evening). Honestly, the performance effects were noticeable AFTER JUST THE FIRST DOSE!! This isn't a placebo effect here either, rep counts go up right away. Things that normally fatigued me at 12-15 reps I was blasting through without even breathing hard!! I have never gone above 10mg/day of Cardarine and I figured with the SR9009 thrown into the mix of things the results would be that much more drastic, and they definitely are!! I'm usually really good about my diet, but I noticed that even on days I slipped up a little bit, the fat loss just kept coming!! I would get on the scale to weigh myself and I'd be down another few lbs even after a couple bad meals here and there. But here is the biggest effect I've noticed along with a huge increase in fat loss; MY RECOVERY TIME IS ABSOLUTELY INSANE!! I'm talking about feeling like I'm good enough to train the same muscle again 2 days after I destroyed it. I had increased my workout volume due to this quick recovery time. Another benefit to these SARMS is the improvement of cholesterol values for anyone with higher cholesterol or someone on testosterone replacement therapy. On TRT your cholesterol can get a little high, it's almost inevitable. Many TRT users will be put on cholesterol medication to avoid cholesterol climbing into the red zone. So I think that anything to aid in cholesterol control is a good addition to possibly another stack or supplement that elevates that. The addition of SR9009 to the Cardarine is definitely a noticeable improvement over just the Cardarine ran solo like I did last time I used it. The only negative to any of this for me is the taste of it. The stuff tastes like battery acid (or what I imagine that would taste like). But I simply chase it down with some coffee and I'm fine. I'll deal with 2 seconds of a bad taste in my mouth to help get absolutely shredded!! WHO IS SR9009/CARDARINE STACK GOOD FOR? 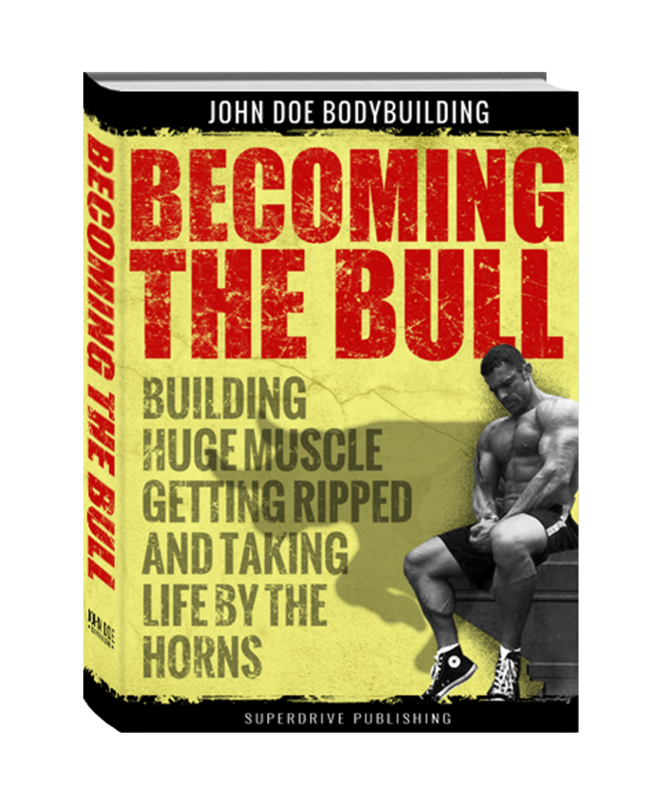 This stack is perfect for someone who wants to get lean and more muscular without the recovery issues of using hormones. There is no need for recovery supplements when using these 2 SARMS since they don't act on the body the same way hormones would. This stack would be ideal for someone who wanted that lean and chiseled look of a physique competitor. If you wanted to be muscular and lean, but not overly monstrous, then this stack can definitely help get you there!! Also, although I'm not an endurance athlete myself, I can definitely see where this would help endurance performance skyrocket while training for endurance sports. Anything along the lines of cycling, swimming, running, triathletes, anything along those lines this stack would benefit that person!! Also, as much as I advise against using anything to get fat loss progress started for someone who has been in a gym layoff, I cannot neglect the fact that I think this would drop a lot of extra weight quickly. When the body is in a constant state of oxidizing fat (even at rest) then there is no doubt that results are going to come faster than just exercise and diet alone!! I personally feel that this stack is relatively safe when used in the dosing regimen I've mentioned. Is this something I'd use all the time? No. Like anything else I use, I don't want my body to get too used to it. But in terms of getting shredded I feel like this is a much safer route than products designed to raise core temperature over a prolonged period of time. It's just an entirely different mechanism of fat loss!! What about the links of cardarine to cancer? None of any of that research is conclusive. Any studies showing cancerous sides were conducted in mice who were given dosages FAR BEYOND what anyone would use. Also, mind you, these products are for research purposes only so only use them on your mice!!! Ive been doing some research into this. Seems the intestines and colon were affected the most as for as cancer goes in rats/mice. It actually reduced some other types of cancer growths. Also from what I read in the research there seems to be a “species” difference in how the liver of a rat has one more step in processing this than a human and that is where the gene transcription gets screwy and can cause liver cancer in rats. Like you said human studies were inconclusive but so many people have taken this now surely someone would have turned up with cancer from using it if that’s true? Plus rats were given crazy high doses. Interesting stuff….. I noticed these cost a bit more than other supplements, how long would you say a .05 oz of cardanine would last? And any legal implications we should be aware of, since I know ostarine had to go away? That’s fine, those suckers are fat anyways. Thanks! Any recommendations on where to purchase these products? Very interested in this stack. What company or website would you, or did you get these 2 research products.